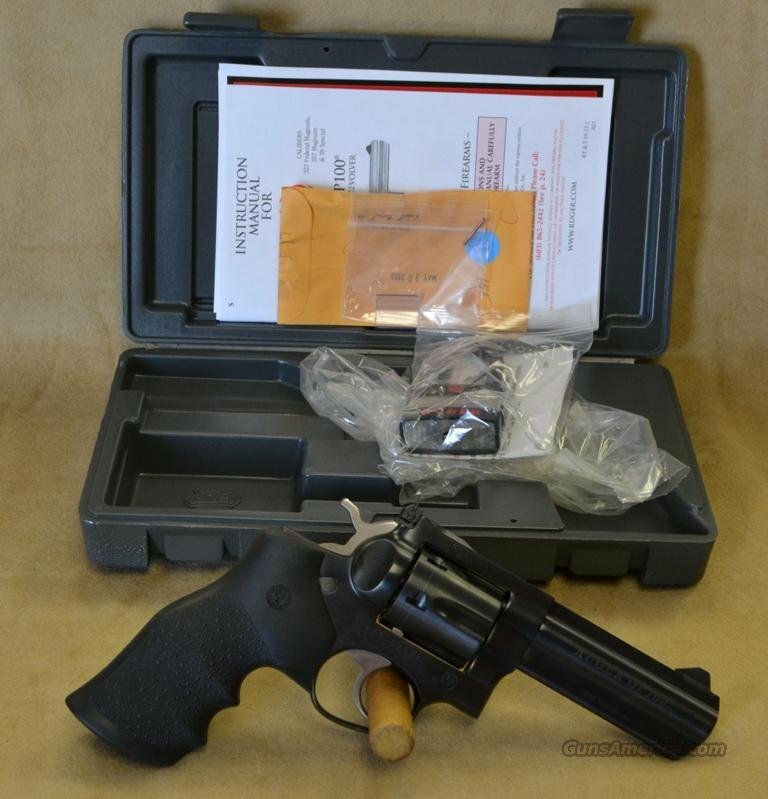 Description: Ruger GP100 in 357 Magnum Caliber. Factory New in Box. Only one available at time of listing. Blued finish with black hogue grip. CA approved. Adjustable sight. Combat type trigger. 4.2" barrel. 6 shot. ALL PRICES SHOWN ARE CASH/CHECK prices. (Sent by cashier's check or money order). Credit/debit cards are accepted with a 3.5% loss of cash discount added to the order total. (Visa, Mastercard, Discover, and AMEX). All credit/debit card payments are made over the phone. WE DO NOT ACCEPT ONLINE PAYMENTS. (Your card information is for gunsamerica's system, not ours). To lock your firearm up sold, we do require a $100 non-refundable deposit. This can be made by credit/debit card over the phone, and we do not charge the loss of cash discount on the $100 deposit.